Not really sure whether the reason is good or not but the cyber security topic is booming again since approx. 8 years. Eight years is also the timespan where IoT devices becoming more and more present in real use cases and being exposed to the real curiosity of hackers, white hats, or even just engineers with some knowledge in cyber security and not being only a theoretical test unit on the table. Due to the fact, that the economy and politics is more sluggish then single individuals or groups, the cyber security awareness is rising the interest of bigger companies only since 2-4 years, smaller companies are more behind this trend. Never then less the topic is present and cyber securtiy awareness training is the least what big companies offer the employes nowadays. Depending on the size of the company, the cyber security training variety is extended to something like cyber security in a development process, personal related data and cyber security, security engineering process and many more. While the big companies have resources and finances to provide an extensive training to his employees, the smaller one typically are more limited. Especially if employes, or even just persons are curious in this topic by them self the first step is often to check for free online cyber security training courses. Why it is important to learn cyber security basics Currently, nearly all areas of daily life are digitalized and even the industry is doing big steps in this direction. Having a basic knowledge about digital hazards and be able to act in the way that you reduce the attack surface automatically in daily life as well as during your work is already a great first step. Are the cyber security topics more present in your work due to the fact that your company takes the potential dangers more seriously than others, you are a lucky guy! Take the chance and structurize your work with the knowledge of the other security professionals. Every risk analysis, assessment or management strategy is based on structured and well-organized processes, and this is exactly what you will learn implicitly or explicitly during the cyber security courses. This is exactly the task I’ve got from some of my friends and to be honest, even with my experience in the cyber security area it was not that simple. This is the reason why I decided to summarize my research in this article. Below you can find a summarization of resources offering cyber security training, online, for free. Some of them require a registration but most of them are completely open and ready to be used. Another training portal is cursera, also not specialized on cyber security training but providing a lot of courses for it. Cursera trainings are not all for free, you have to take care of the costs due to an alternative business model. Cursera offers you a time where you can do the course for free (7days), if you finish it you will get an official certificate like also for the paid course if not you can cancel the course or pay for it and continue. The courses itself are very detailed, interactive and insist on a video, readings and a practical part. 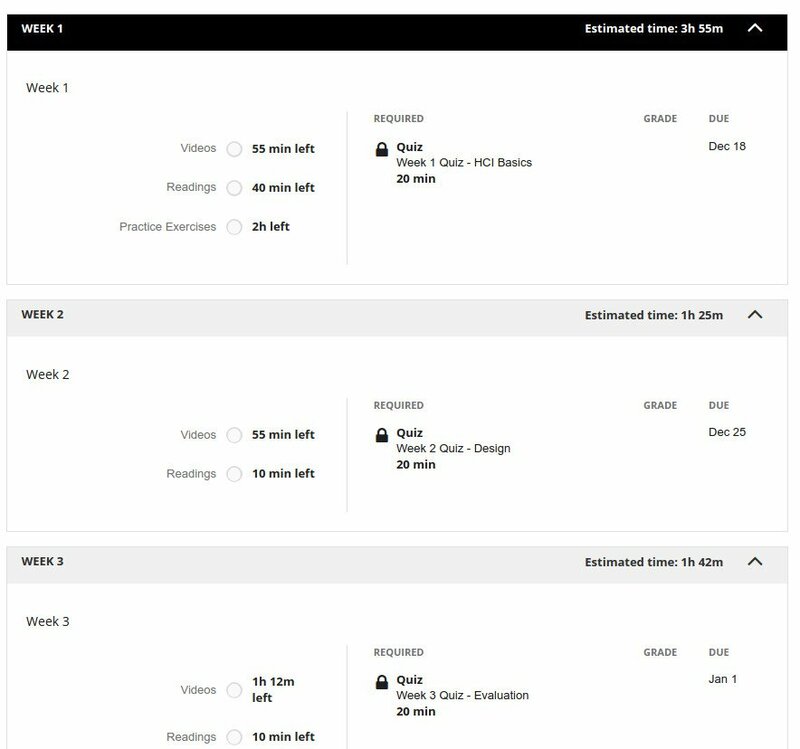 To give you an example I took the course Usable Security In sum you get 7 “weeks”, therefore 7 training sections with an estimated duration of more than 12 hours of work. If you can finish the training within 7 days you will get the course for free. The Practical Guide to Mac Security - How to avoid malware, keep your online accounts safe, and protect yourself from other disasters. The training courses usually have a duration of ~1 h, some ar longer others shorter, and contain a video and often also additional materials. During the video course you also have interactive elements like quiz questions and the trainers share helpful documents like guids and tipps. DoD Mobile Devices - In this presentation users learn about significant security issues and vulnerabilities associated with unclassified mobile devices. Phishing Awareness - This interactive training explains what phishing is and provides examples of the different types of phishing, to include spear phishing, targeting specific groups or individuals, and whaling, targeting senior officials. As you can see the training sections focus on beginners as well as on experienced persons in terms of cyber security. The institute offers a small number of information security courses for beginners. Like it is the case for IASE, also for NIH you need to have the ability to generalize specific statements due to the fact that the courses are made for NIH users. The duration is varying between 15 min and 90 min. You can find an overview here NIH, here is a selection.